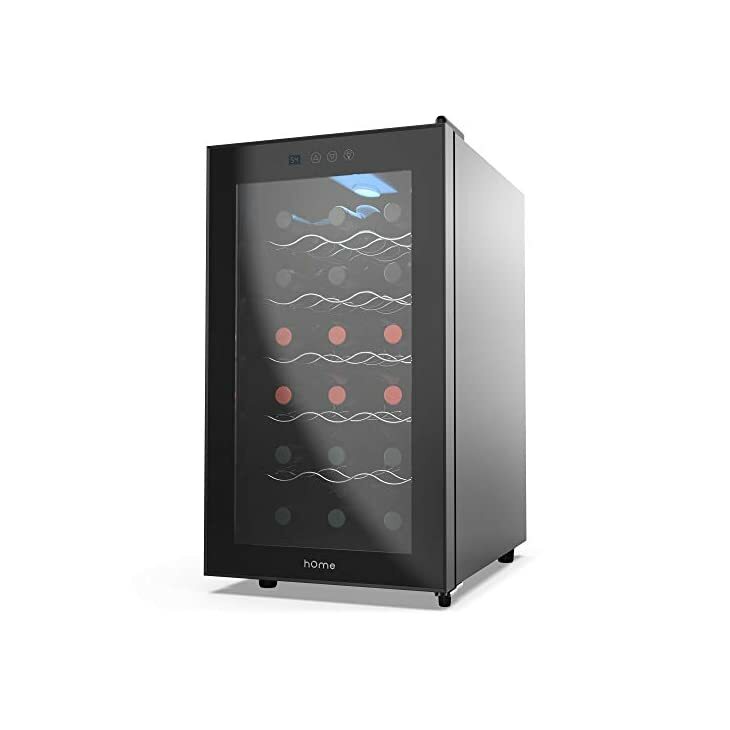 Dual Zone Wine Fridge – Slimline freestanding refrigerator, holds 18 Bordeaux bottles, provides two temperature levels for perfect storing conditions for both reds. Digital Touch Screen – Top zone adjustable temperature range of 54-66 degrees F provides ideal storing conditions for reds while the bottom zones adjustable temperature range of 46-66 degrees F provides optimum serving conditions for most whites. KEEP WINE COOL: Heat is enemy number one for wine. 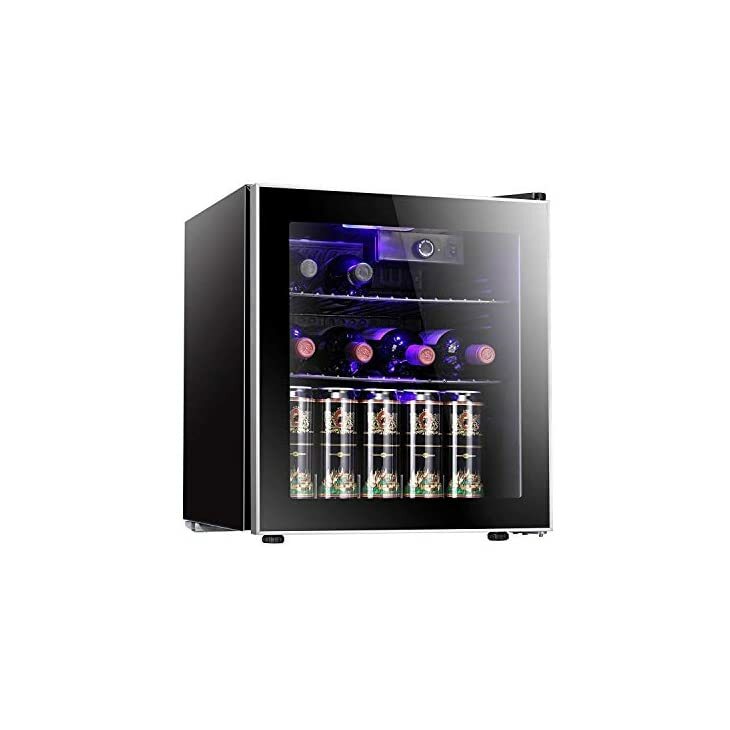 The Wine Cooler enables you to store your wine in optimal conditions for long-term aging. Working temperature range is 40°F- 61°F, and allows you to customize the temp (55°F is often cited as close to perfect). IDEAL LIGHT and HUMIDITY: The sun’s UV rays can degrade and prematurely age wine. Double Pane Glass Door can block out harmful UV rays and help to maintain an ideal humidity level. Blue soft LED interior lighting not only beautifully showcases the wine but won’t damage the wine. 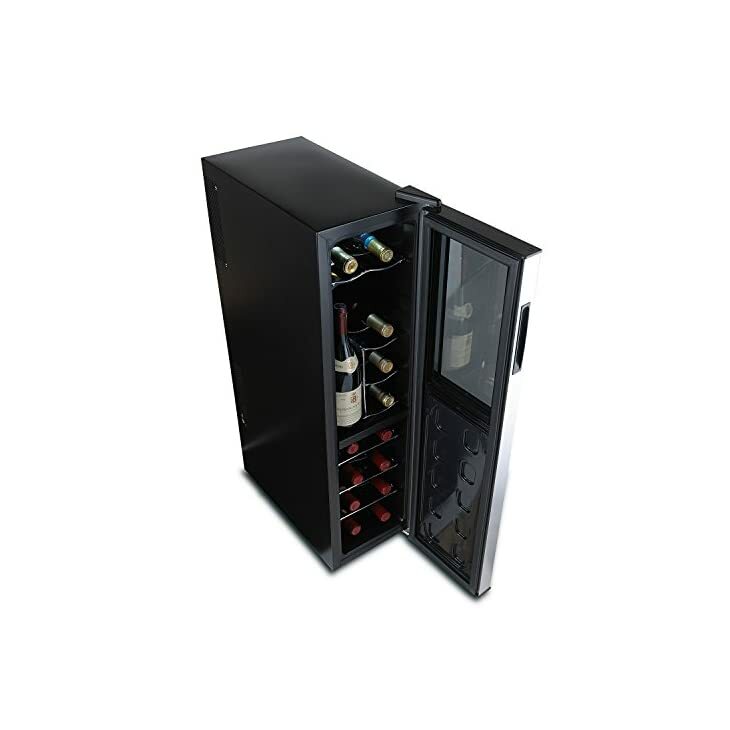 PERFECT WINE STORAGE: 26 standard red or white wine bottles capacity, also perfect for canned beer and beverage storage. Horizontal racking is a space-efficient way to store your bottles, and it definitely can’t harm your wines. 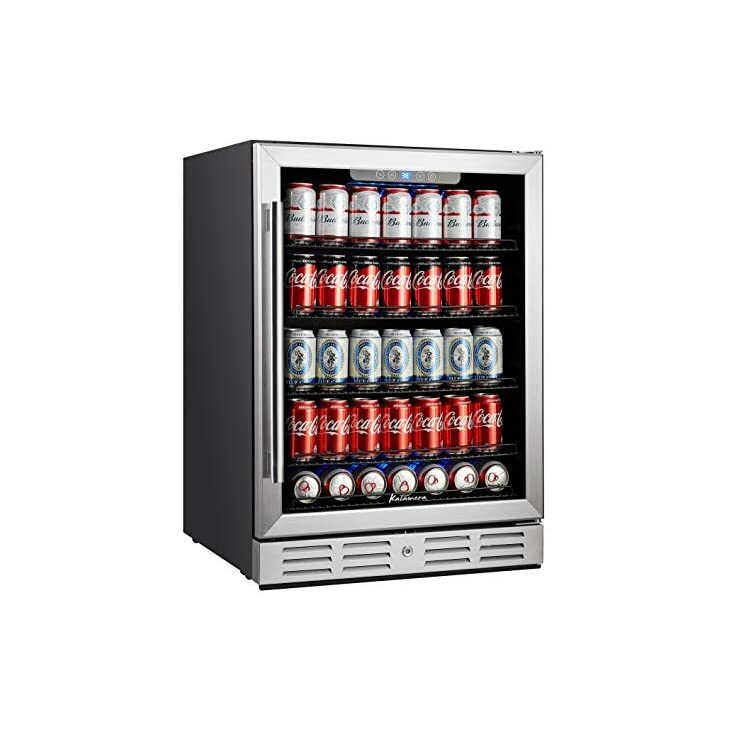 ★GREAT STORAGE: In just under 23″X24″ of floor space you get storage space for up to 154 cans of your favorite cold beverages! ★SLEEK DESIGN: Stainless steel and transparent glass front with blue LED lighting add elegant design and practical function to your home. ★REMOVABLE WIRE RACKS: Five wire racks remove easily to quickly add cases of beer or soda cans. 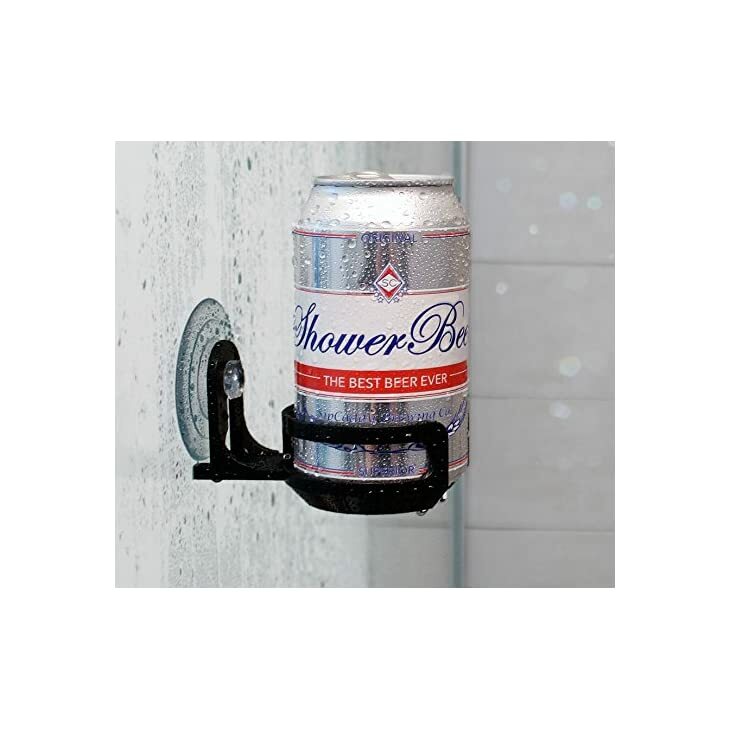 #1 shower caddy on Amazon. Best gift list. Highest quality, American-made suction cup included- rated at 7 lbs. when applied properly to a nonporous surface. Ideal for glass, mirror, and smooth tile.